The Center began as an extension of the Building Imagination Initiative, and was expanded into a Center through a generous ArtPlace grant. The Mission of the Building Imagination Center is to provide an exhibit space for video art, with a focus on the creation of new and original documentary films of and with the local community. The Center aims to create a new video arts presence in the Central Valley. Please view the Center’s actual website, HERE. Building Imagination Center, A New Art Gallery and Cinema Partnership with CSU Stanislaus. 2012. ArtPlace grants the Building Imagination Initiative funding to open art center. 2012. Building Imagination Center Announces New Directions for Upcoming Year. 2013. CSU Stanislaus to Open Downtown Turlock Art Gallery, Student Studios. 2014. 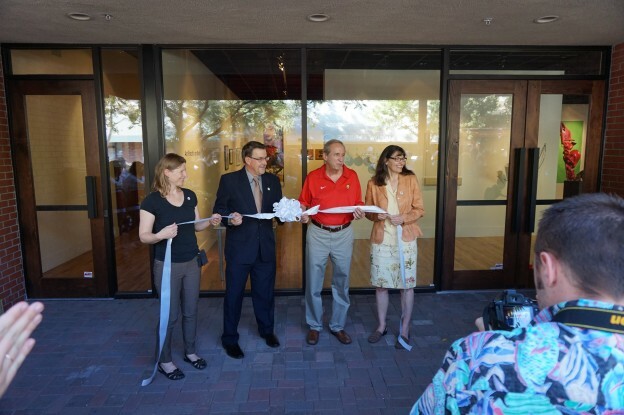 Bee in Turlock: California State University, Stanislaus, brings art space to downtown. 2014. Picture perfect: Art Space on Main studio-gallery to open Friday in Turlock. 2014. CSU: Heart of art in Turlock. 2016.